What tenets of Buddhism are relevant to psychology? One of the primary tenets in Buddhism is that suffering comes from the illusion that our selves are separate, individual, and complete. People who are emotionally attached to what Westerners might call the ego, or to the idea of the self as a self-contained, isolated entity, are bound to suffer. Happiness or bliss can only be found by relinquishing attachment to the limited and mortal self in favor of the infinite reality of which we are all a part. Meditation and other contemplative practices are the best ways to access the spiritual knowledge that lies within all of us. 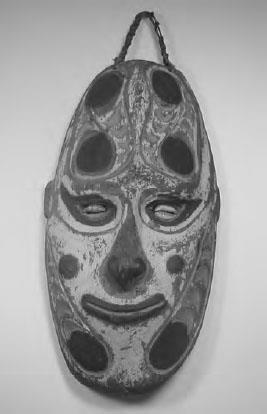 A mask from Papua New Guinea similar to the kind used by shamans. Shamanism is common in many cultures where people believe that the world is filled with spirits.